It's Two for Tuesday Time! 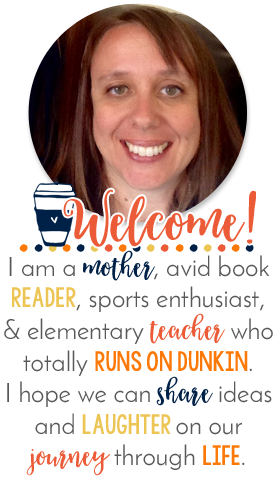 I'm linking up with those awesome bloggers over at the Teaching Tribune and offering two of my products for HALF OFF today! 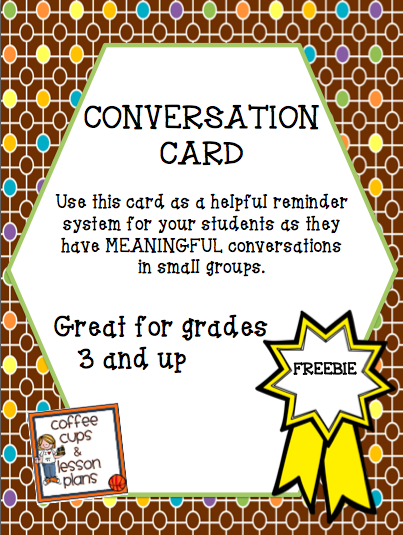 I know many of you are getting your classroom's Back to School ready. I'm so jealous of all that beauty. It's not quite time for me to do that yet, but one thing I have been looking at lately are my Interactive Notebooks. I seriously CAN NOT teach without them! Their versitility is amazing for all learning types. Today I'm offering my Fractions Bundle at 50% off. 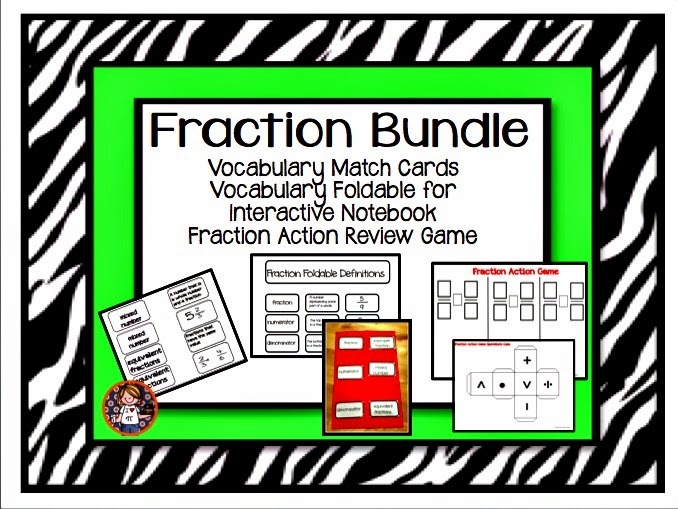 That is a mere TWO DOLLARS for Matching Cards, Interactive Notebook Foldable, and an Interactive Game... seriously, you cannot beat this deal. Even if you don't teach fractions until later in the Fall or Winter, this great deal is perfect to purchase and put away for later. 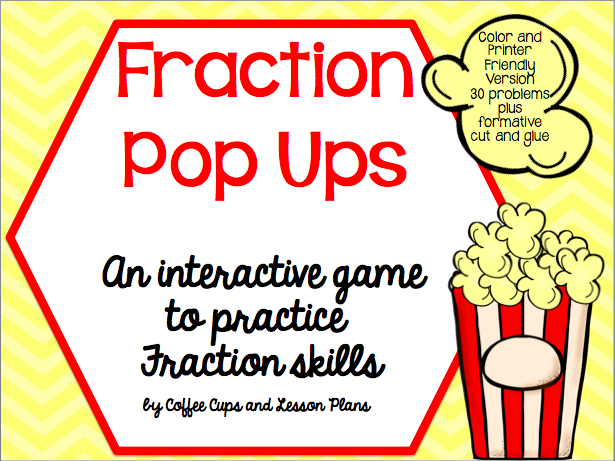 The second product that I'm offering is my Fraction Pop-Ups Game. This Interactive Game is perfect for reviewing Fractions. Students work can work on simplifying fractions, adding, and subtraction skill building. Can't bear to print in color? 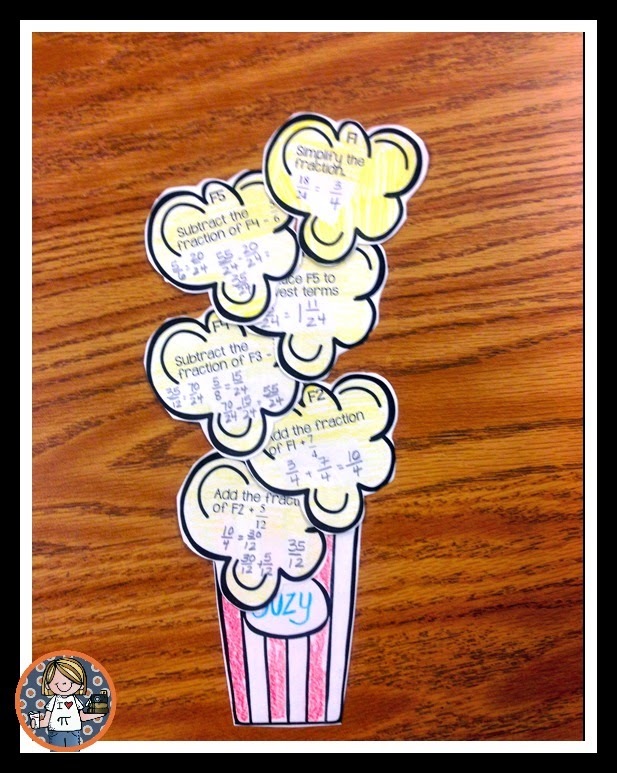 The game comes in a Black and White version, I simply printed the popcorn in the above picture on yellow cardstock. A formative assessment practice page is also included, or you could have students complete the task in their Interactive Notebooks. 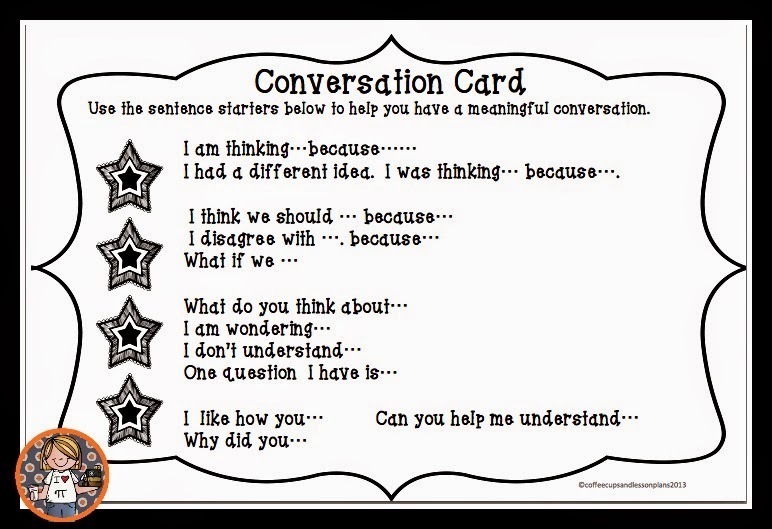 I place this in my Interactive Notebooks at the beginning of the year to help my Smarites practice good Conversation Skills. By the way: Don't forget to leave FEEDBACK on products. When you leave feedback you earn credits towards future TpT products, and you know the Back to School Sale should be coming up soon! 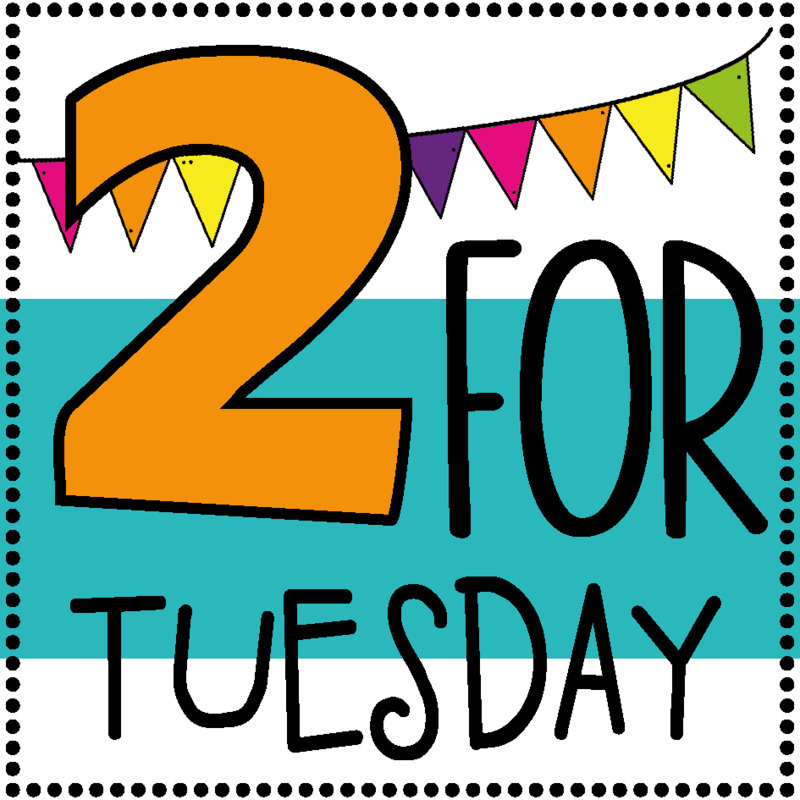 Stop by the Teaching Tribune for other Two for Tuesday products! Educents Back to School Blow-Out! Don't Forget! 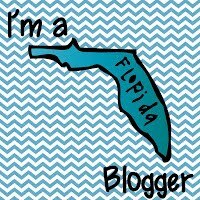 Amazing Giveaway in Progress! 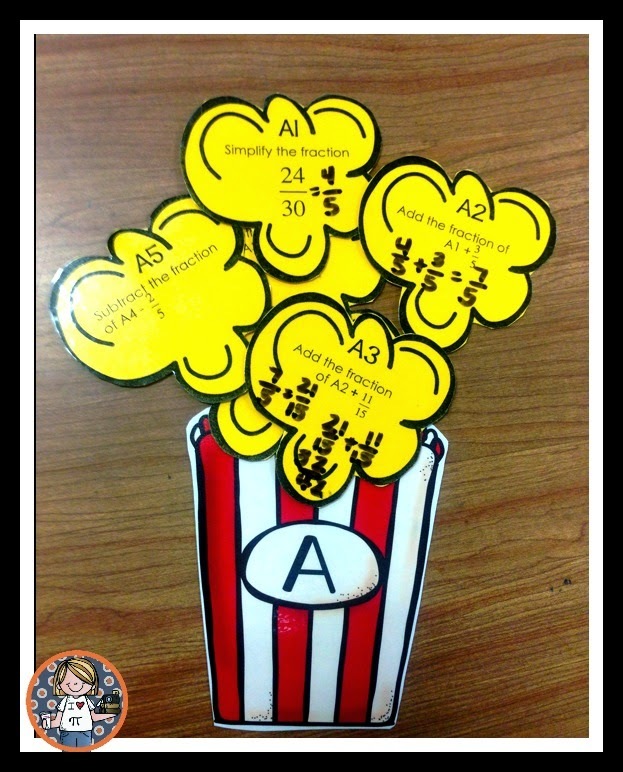 Two for Tuesday: 7/1 July Math Madness!